How good are the TVs in your budget? Now's one of the best times to buy a new TV - whether you've got a few hundred or few thousand to spend, how good a set should you expect to get? The TV industry is not a sentimental one and models that were all the rage a year ago will soon be replaced by hundreds of shiny new sets. It’s out with the old and in with the new, but before those old TVs are put out to pasture you can pick one up for significantly less than what they cost at launch – and for significantly less than the launch price of the TVs replacing them. 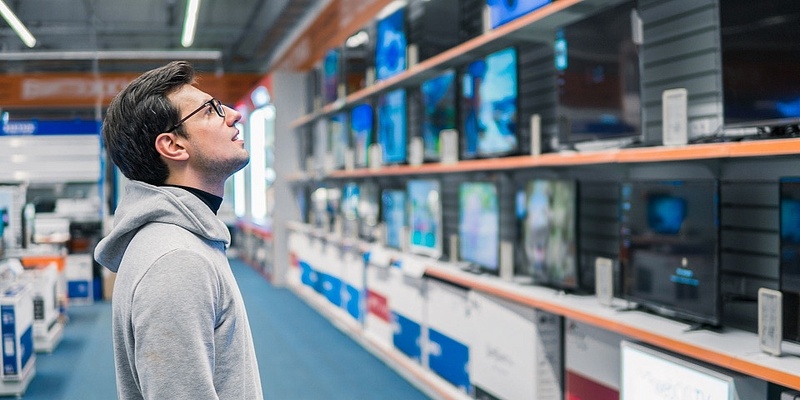 Our research has found that TVs tend to reach their cheapest price roughly eight months after being on sale and guess what? Most of the TVs in 2018 were released during April and May. They may have come down in price, but the cost still stretches from £300 to close to £3,000. But do you need to spend four figures to get a good TV? We’ve crunched the numbers to see how good a telly you can expect to get for your budget. We’ve looked at four different price points: TVs that cost less than £500, £501 to £750, £751 to £1,000 and £1,001 to £1,501. Prices will go up and down in response to stock levels, other TVs launching and any sales that retailers have on, but all the prices we used for this story were correct as of 24 January. We haven’t included Full HD TVs in our round-up, just 4K models. If you’re spending at roughly the £500 mark then you’ll be looking at mid to low-end 4K TVs. Choices will be limited if you want a TV that’s bigger than 50 inches, too, but we did find a few 55-inchers for less than £500. Take a look at all our reviews of TVs £500 or less to see which models are worth your money and which fall way short. There are more larger TVs in this price bracket and it includes some ranges that are at the upper end of what’s considered mid-range. The TVs are slightly higher quality on average and they tend to sound a bit better. That said, more TVs at this price point scored three stars for picture quality than the models in the cheapest bracket. The average still wasn’t low enough to bring the rating down to three stars overall, however. There are Best Buys at this price point, but there are plenty of sets that miss the mark by miles. See all our reviews of TVs between £501 and £750 and choose the right model. It’s this bracket where we start to see some truly high-end models. You still can’t get an OLED for this price, but some of Samsung’s QLED sets are now cheap enough to be included. Despite the advanced technology in many of the ranges in this price bracket, the average is held back by the low scores of some big screen sets from cheaper ranges. The average score for these pricier models is worse than the bracket below, so it’s even more imperative that you check our reviews of TVs priced between £751 and £1,000 to dodge the duds. At this price point we finally get a few OLED sets, but the price is still too low to get the top-of-the-line ranges from any of the leading manufacturers. The average score of TVs of more than £1,000 is a Best Buy worthy 71%, but it’s still not a guarantee – several TVs are wide of the mark. It’s a similar story for picture and sound quality. Despite averages being higher overall, a few poor quality models hold them back by only scoring three stars for each. There are some exceptional TVs at this price and you really shouldn’t buy anything other than a Best Buy. See all our reviews of TV priced between £1,001 and £1,500 or risk buying an inferior set. What if money’s no object? The top-of-the-range sets from each manufacturer easily reach and exceed £2,000 and while the quality tends to be high at this price point, there’s still up to an 8% difference between the best and worst models. The clearest difference between the most expensive TVs and cheaper models is sound. The more than £1,500 price bracket is the only one where the average rating for sound was five stars.